Twitter Launch Party and Podcast for Chicken Soup for the Soul’s New Book! | Mark Rickerby's blog AND (insert trumpets here) God's Sitcom – Messin' with Mark! Mark Rickerby's blog AND (insert trumpets here) God's Sitcom – Messin' with Mark! 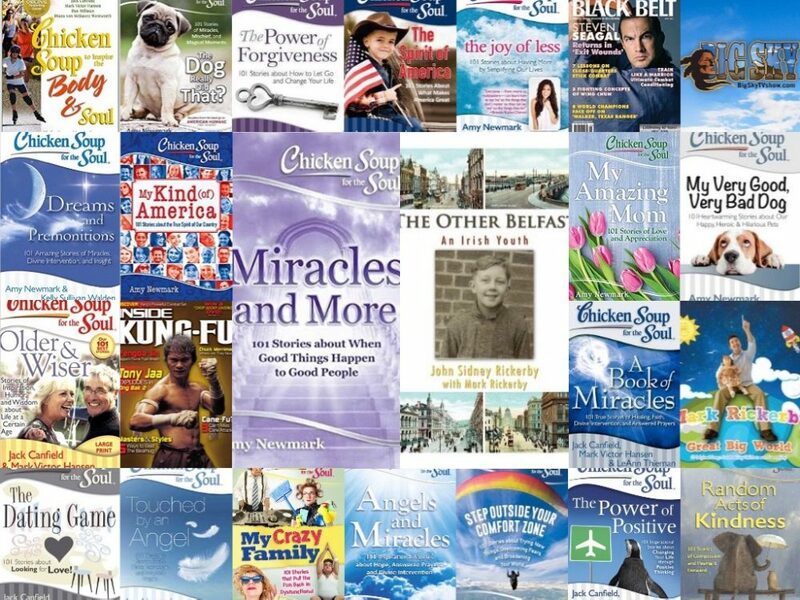 Twitter Launch Party and Podcast for Chicken Soup for the Soul’s New Book! Amy Newmark, publisher of the Chicken Soup for the Soul book series, is having a Twitter launch party for this book on August 8th. Anyone can attend. It’s like a cocktail party conversation online. My story “He Wouldn’t Hurt a Fly” is in this book, and will be 1 of 4 stories featured on the podcast. I may also be interviewed about that story in another 15-minute podcast later. I hope you can make one or both of these events! See info below on how to listen if you’re new to podcasts. We are excited to let you know your story He Wouldn’t Hurt a Fly which appeared in Chicken Soup for the Soul: The Dog Really Did That? will be featured on the Chicken Soup for the Soul podcast. A new podcast will be available each weekday and they can be downloaded for free the same way that you get other podcasts. There is a theme for each day of the week. Your story will be shared on 8/23/17 and will continue to be available on the app once it airs. If you are new to podcasts you may be surprised to learn you already have a podcast button on your smartphone. You can listen to podcasts on your phone, your computer, or your iPad or other tablet. The podcasts are about six or seven minutes long Monday-Thursday and they provide entertaining stories as well as great advice and easy-to-implement tips to improve your life. On Fridays, Amy Newmark will ask one of our four authors to join her for a longer podcast—about fifteen minutes. We hope you will listen and enjoy! This entry was posted in General and tagged Amy Newmark, Chicken Soup for the Soul, Dogs, humane society, launch party, New publishing, podcast, The Dog Really Did That?, twitter by markrickerby. Bookmark the permalink.